Gold Tokens: These are given to every patient at every visit to our office. It can be stressful and hard (for little ones especially) to allow us to do what we need to at our office. We believe in rewarding them for a job well done! These coins can be used at the large bank of prizes right by our front door. Our machines don't take anything but our gold coins. Wooden Nickels: We like to hand these out at special functions and parades. They are also given to every patient at every visit, and I think they mostly end up on the floor of your car and in your junk drawer at home. If parents understood the worth that these have they would be collected and guarded much more carefully! If you'll look on our rewards page you will find a list of our favorite family-friendly businesses in the valley that offer something for FREE in exchange for your Wooden Nickel. There's a huge variety of possibilities! If you saved your wooden nickels for a few visits, you could have a whole family night out for nearly free! Let's look at what a day could look like with a bunch of wooden nickels, shall we?? We'll start out with ice skating at the Eccles Ice Center for buy one get one free ice skating and skate rentals. After skating around for an hour or so, who's hungry?? Let's stop by Lee's and get a free banana! Then head over to the Fun Park where one Wooden Nickel gets you one free activity. Next, stop by Old Grist Mill for a free cookie! While you're out, why not stop at Joyride Bikes and get your FREE bike reflector?! Sounds like a fun-filled afternoon to me using 5 Wooden Nickels, and that's only a small sampling of the offers that are listed! Save those nickels! They're worth it! 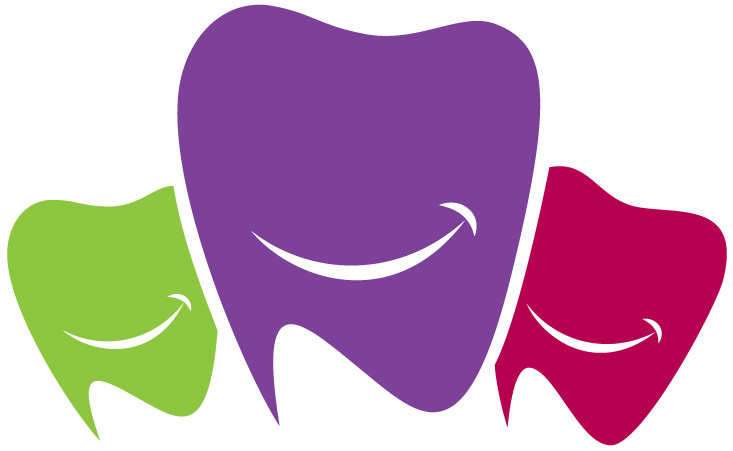 Social Media: Where do you go for a dentist recommendation? Gone are the days when we opened the yellow pages and just started calling down the list when we needed a new dentist or doctor. Today, asking for referrals on social media is so easy, and boy, do people looove to share their opinions on the internet! We recognize that the best referrals come from a friend or loved one. That's why when you are in our office, if you have a social media account and would like to check in or share your visit with your friends, we would love to reward you! If your kid totally rocked his visit and is cavity-free, share it on Instagram! Your kids are crying because they have to LEAVE our office? When does that happen? That's Chatbook worthy! Tell your friends! Your usually squirmy 4 year old let us take xrays and you still can't believe it, tell the Facebook world! The only thing that we ask is that you include only pictures of YOUR CHILDREN in your photos. We respect those who choose not to put their kids on social media. We love what we do and we are proud of the fact that we do it well, so we are honored when you show us a little love in the social media world. Our office has several social media accounts: Instagram (@cachevalleypediatricdentistry #cvpdkids), Facebook (Cache Valley Pediatric Dentistry) and Pinterest (Cache Valley Pediatric Dentistry) that are updated regularly. Connect with us! Here's what we offer in return: for each share on the platform of your choice, we offer either one $5 movie gift card per family OR one Aggie Ice Cream card per child which you can pick up from Melissa at check-out. Pretty great, right? Add that to your Wooden Nickel Day and you're golden. Referrals: WE LOVE REFERRALS! As I mentioned before, a referral from a loved one or friend goes a long way. If you know someone you think could benefit from what we do here at Cache Valley Pediatric Dentistry, send them our way! Make sure they tell us they were referred by you and you will receive a $10 cash card! It's just our way of saying 'Thanks' for trusting us to care for your loved ones. We love you and your kids here at Cache Valley Pediatric Dentistry! We love the relationships we form and being able to watch families grow. Thanks for being so great. Posted on January 14, 2016 by Daren Gehring and tagged Cache Valley Pediatric Dentistry dentist Utah Pediatric Dentist Northern Utah Pediatric Dentist social media rewards wooden nickels cool kids family activities cache valley. Now that Christmas is upon us, let's talk about Halloween!! Every year we host a Halloween Party and Candy Buy Back as a way to have fun with our patients and donate to a good cause. We have tons of games and prizes to win, let kids loose in our office to play, and we pay $1 per pound up to $5 for all the hard-earned candy kids have that they are willing to donate. We get a lot of questions about our party, so here's a little Q & A plus a review of this year's party! Q: What do you do with all that candy? A: We got about 500 pounds of candy this year, which was our biggest year yet! All of this candy is donated to Operation Gratitude. We ship it to California where it is sorted and sent to our service men and women serving overseas. Some packages are also sent to their children left behind, and to New Recruits, Veterans, First Responders, Wounded Warriors and their Care Givers. The candy is used in many different ways. Some soldiers fill their pockets before going out every day to pass out to children in the streets. We are proud to be a part of this organization. Q: I want my kids to donate candy! How do I talk them into it? A: Nothing harder than taking candy from kids, is there?! In our experience, letting kids choose a set amount of candy (20 pieces? 30 pieces?) and then donating the rest is the way to go. Have them pick out a certain amount and then tell them to look at what's left. Do they even like whats' there? Usually after picking out their favorites kids are eating candy just for the sake of eating it, not because they actually like it. Might as well make a few $$. Also, explain that a lot of the candy ends up going to kids in far away countries who wouldn't otherwise get anything like it. Q: We want to come, but my kids won't give up their candy. Can we still come? A: OF COURSE! Donating candy is just a small part of what we do at our annual event. Come write a thank you note to be included in our donation, enter to win one of MANY prizes, get your face painted, and play! Everyone is welcome whether you want to sell your candy or not! Q: Do I have to be a patient to come? A: OF COURSE NOT! Come hang out with us! Q: What else is there to do? A: We have AMAZING face painters come. We have fun guessing games with great prizes! We also have a fun fishing pond, not to mention all the fun things that are just part of our normal every-day activities around here like our huge slide and iPlay. We are looking forward to next year's party being our biggest and best yet! Be sure to follow this blog and our Facebook page for updates on all our fun activities! Posted on November 30, 2015 by Daren Gehring and tagged Utah Pediatric Dentist Cache Valley Pediatric Dentistry Northern Utah Pediatric Dentist halloween Operation Gratitude candy buy back halloween party. Pediatric Dentist, what exactly is Pediatric Dentistry? This is a question I am often asked. So the short answer is... "Pediatric dentistry is a specialized field of dental treatment, revolving around the dental needs of children. A pediatric dentist has taken two to three additional years of specialized schooling beyond that of a regular or general dentists, in order to learn about the best treatment for children's unique dental issues." The next question to follow is, "WHY in the world would you want to become a Pediatric Dentist?" I usually chuckle at this question and respond with the fact that I absolutely love what I do. I didn't always know I wanted to become a pediatric dentist. In fact, it wasn't until my 3rd year of dental school at Virginia Commonwealth University that I had an experience with my own child that helped me make the decision to specialize in the field of Pediatric Dentistry. My son, Josh, was 18 months old and decided to ride his big wheel down a huge flight of stair. He came out of the ordeal for the most part unscathed. However, he did suffer some mouth and tooth trauma. He was my first pediatric patient. I was surprised at the unique care and treatments available specifically for kids. That experience gave me the desire to look into Pediatric Dentistry as my career choice. So, after I graduated from dental school, I completed two additional years in the pediatric dental residency program at the University of Florida and the rest is history. We opened Cache Valley Pediatric Dentistry in 2003. Cache Valley has been a wonderful place to live. My wife, Emily, and I graduated from Utah State (as true Aggies) and absolutely loved all that this beautiful valley and mountains have to offer. We knew this would be a fantastic place to live and raise our family. We have been blessed with 5 great kids, Hailey, Josh, Chad, Case and Tessa who keep us moving and bring us a lot of happiness. In my practice, I encourage great communication regarding treatment options and diagnosis. I have an open door policy where I encourage parents to come to the treatment rooms with their child if they so choose. I feel communication is more effective and questions are best addressed in that setting. Children also usually feel more comfortable with a parent close by. This is an option for each family individually. We spend time with each child and parent, teaching them how to properly care for their teeth and gums. This dental education - at and early age - can stay with a child for a lifetime. We know that it is essential to establish regular, healthy dental habits such as flossing and proper tooth brushing as early as possible. We all know that some adults have an exaggerated fear of seeing the dentist. Some children experience the same dread. A dental office can be a scary place for a child, with all of the specialized dental equipment and the sounds made by some of the dental tools. However, my staff and I know how to work with a frightened child, comforting them and relaxing them before proceeding with an exam or any needed treatment. we will do our best to set your child at ease, explaining everything that is going on, and never creating an atmosphere of fear. A positive dental experience - especially for a young child - is likely to result in the child growing into an adult who is comfortable with routine dental care and who regularly gets dental checkups. Establishing good dental habits early, means your child is going to have less dental problems as they age. Since we opened our doors back in 2003, we have been so blessed to get to know some of the best patients and families in Cache Valley. We love all of our patients. we have many patients that have been with us for the entire 11 years since we opened. In fact, we have many former patients who now bring their children to see us (that really makes me feel old). As our practice has grown, we have felt a bit restricted by a lack of space and services that we are not able to provide in our current location. As a result, we are excited to announce the opening of our new location this fall!!! We have put a lot of thought and consideration into this new building. We want every patient and every family to feel as comfortable as possible. We have designed this new office to have some great new features, such as, a "Teen Only" area where there are dental chairs their size and where orthodontic procedures can be done more efficiently. We will also have great play areas in the reception area as well as the treatment bay where siblings are free to play while their brothers and sisters are being treated. Our operatories will be larger to accommodate families better, and of course we will still have TVs in the ceiling as well as a few exciting new features yet to be revealed. And last buy not least, many have asked if our huge fish take will be making the move with us. We are happy to say, YES!! Nemo and Dori are coming along!! If you are considering a new dentist for your child, please think of us. We treat infants, kids, teens and patients of all ages with special needs. Our friendly and competent staff is dedicated to the comfort and quality car of your child. We look forward to welcoming you to our dental family. P.S. 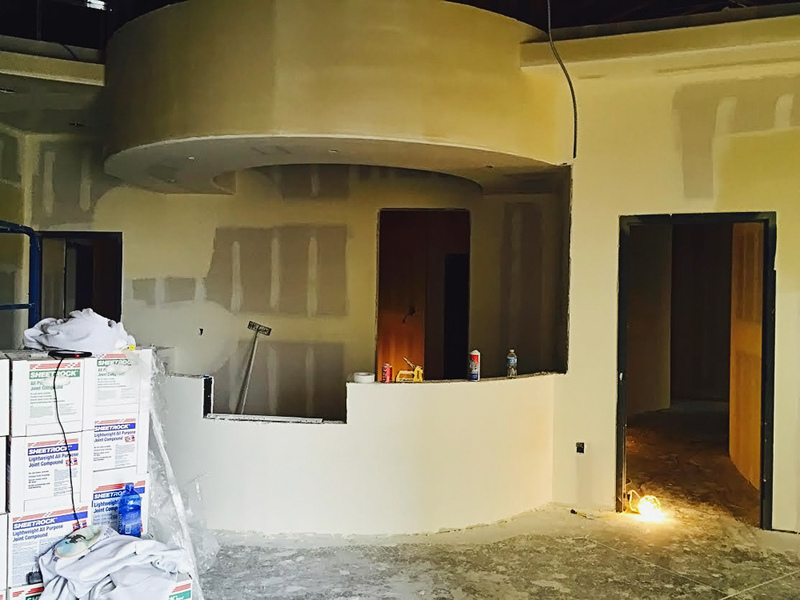 Check out the rest of our website for great information, fun activities for kids and to follow the progress of our new building on our blog. Posted on September 17, 2014 by Daren Gehring and tagged Cache Valley Pediatric Dentistry Utah Pediatric Dentistry Northern Utah Pediatric Dentist Utah Pediatric Dentist.